As you age, the tissue structures and muscles supporting your eyelids weaken. The skin may start to descend, and fat that is normally confined to the area around the eye can protrude into the area below your eyes creating what is called a “tear trough”. A tear trough is caused by tethering of the lower eyelid skin to the underlying facial bones. As aging leads to volume loss in the cheeks and tissue laxity in the lower eyelid, the tear trough becomes more prominent. The appearance of lower eyelid bags can accentuate a tear through, making the shadow more visible. And while it is more common as patients age, even younger patients can have a tear trough deformity. The tear trough extends from the inner corner of the eye, following a semicircular arc and transitioning to a groove around the lower margin of the eye. A deep tear trough can create a shadow that is perceived as a dark circle below the eye. It also creates a division between the lower eyelid and cheek that is an early sign of aging around the eyes. Patients with deep tear troughs often complain that they look more tired and older than they really are. There are other changes that can occur that give the appearance of eye bags or “dark circles” under the eyes. The skin below your eyes can accumulate fluid, making the under-eye area appear puffy or swollen. In addition, the cheeks can lose fat and flatten enhancing the junction between cheek and eyelid creating more of a shadow and enhanced appearance of eye bags. Lastly, the eyelid skin can darken or become very translucent exposing the underlying muscles making the eyes look dark. Overall, there are many different reasons that may lead to the appearance of eye bags or dark circles. The physicians at SkinDC are experts in analyzing the age-related changes of the eye area and will create a treatment plan that is best suited for their patients. Depending on the underlying etiology, the treatment for eye bags will vary. Dermal fillers can restore the mid face volume and soften the junction between the eyelids and cheeks. While a tear trough deformity can be corrected surgically by repositioning fat in the lower eyelid, treatment with filler has become a popular alternative. Treatment with a filler can provide a patient with a long-lasting natural result, often greater than one year, with minimal downtime. Laser treatments can help with the fine lines, blood vessels, and discoloration that can make the eyes look dark and tired. Lastly, Botox can be used to “open” the eyes by raising the eyebrows. 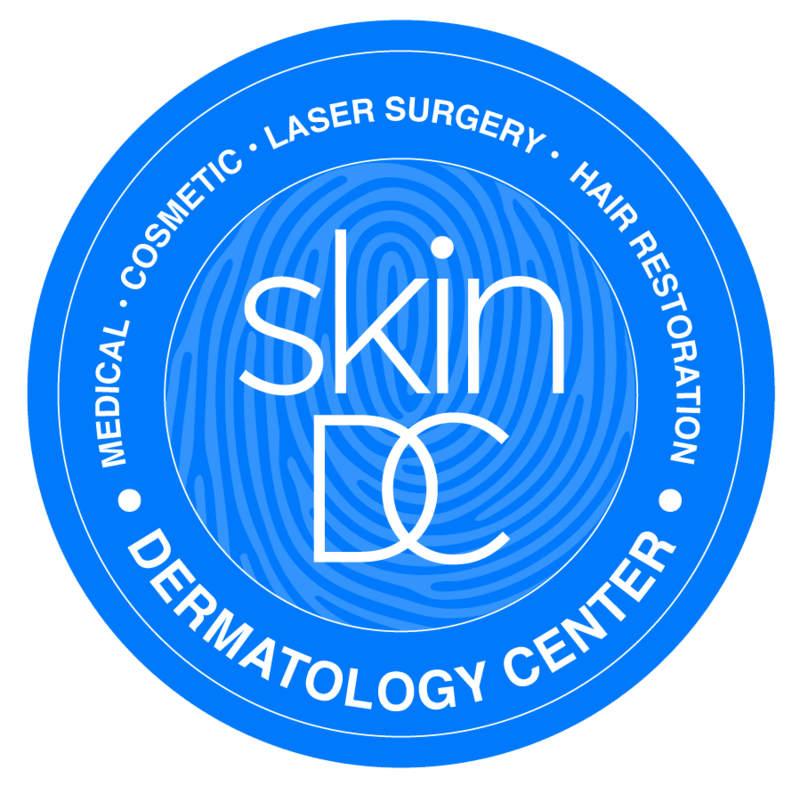 Please request a consultation at SkinDC for a thorough evaluation or your eyes and face.